Back in the days of the spinner racks at drug stores you would find a sampling of titles from Marvel, DC, and more. This was before comic book stores (or at least my knowledge of them) and there was a certain joy of trying out different comic books. One of the titles that really spurned my interest was What If? What If? appealed to me because it had a great title that explained the premise of the comic book immediately. The title always had an alternate take on a cool storyline or premise in one of the main comic books like Conan the Barbarian, Spider-man, the Fantastic Four, Uncanny X-Men, the Avengers, and more. 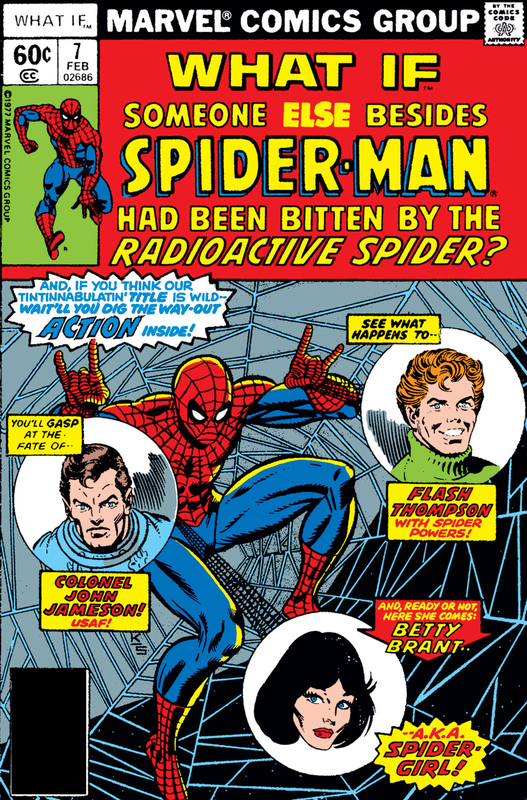 One of those situations was What If Someone Else Besides Spider-man Had Been Bitten by the Radioactive Spider? What?! this was nuts. 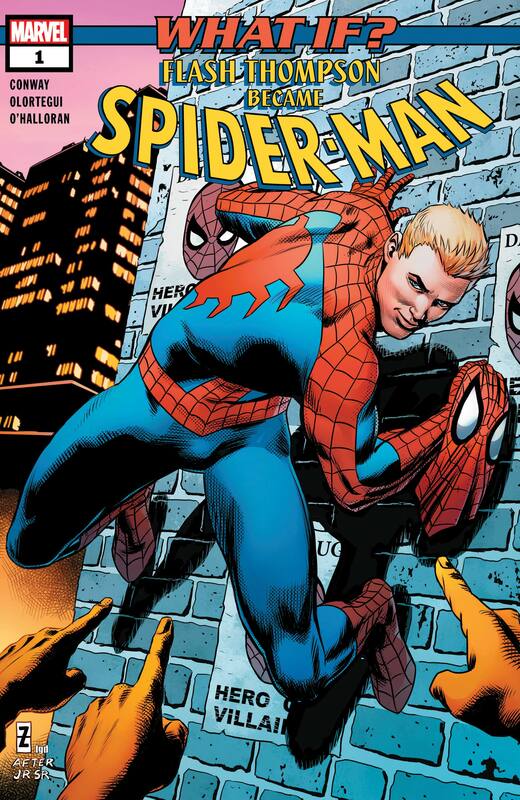 The cover teased the alternate recipients of the spider-bite as John Jameson, Betty Brant, and Flash Thompson. Pretty wild at the time when there was only one Spider-man, namely Peter Parker. Flash forward (please forgive me) to 2018 and What If? is no longer a regular title but sometimes reappears during months with a fifth week as there is an opening in the publishing schedule. I picked up What If? Flash Thompson Became Spider-man. I was surprised and delighted by the comic. The comic opened right in the middle of a fight with Spider-man vs. the Masters of Menace. This Spider-man is Flash Thompson and people fear him because he doesn’t pull punches. Also, we see Peter Parker takes pictures of Spider-man and delivers them to an eager J. Johan Jameson who embraces Flash’s reckless behavior after the death of his son, John Jameson. Peter while not Spider-man in this alternative world is still smart and tracks down Flash to his trailer. Flash becomes enraged and accidentally kills Peter. Flash realizes he made a horrible mistake and battles Doctor Octopus for a rare isotope to save Aunt May. Because of Spider-Flash’s actions Uncle Ben and Aunt May live while their nephew Peter Parker dies. Flash turns himself in to face justice with a vow to become a true hero some day. What I like about the ending is Flash learns about the true definition of responsibility in a much different way than Peter did but it matches Flash’s history. One thing that is different now is we’ve seen Flash as the war hero and even as the government agent version of Venom. I was thrilled to see classic golden age writer Gerry Conway wrote this story and modern artists, Diego Olortegui, Walden Wong, Chris O’halloran, along with letterer Travis Lanham deliver a new visual perspective on some iconic Spider-moments. My Spider-sense tingles strong with five out of five spiders!